I find it incredible that despite how far we’ve come with technology and marketing there are still recurring headaches for marketing executives. The challenge is what can be done to relieve these issues? It’s a frustrating list to read and shows that despite all of the chatter in the press, whitepapers and conferences, things aren’t changing quickly enough. To put it in perspective, this list is akin to the top driving headache of 2015 being “I can’t go fast enough as there is a man waving a green flag in front of my car”. Despite the great advancements in computing we are still held back by the complexity of the underlying technology. Why aren’t we yet at the point of business (or at least marketing) at the speed of thought? 2-speed IT functions have been increasingly referenced as a solution to slow monolithic tech depts who are failing to grasp the “digital revolution”. The premise is simple, traditional tech focuses on keep business systems up and running and dealing with the really big important stuff. Then the new disruptive tech team focuses on the digital innovation side of the business. The first is safe, mitigates risks and ensures consistency. 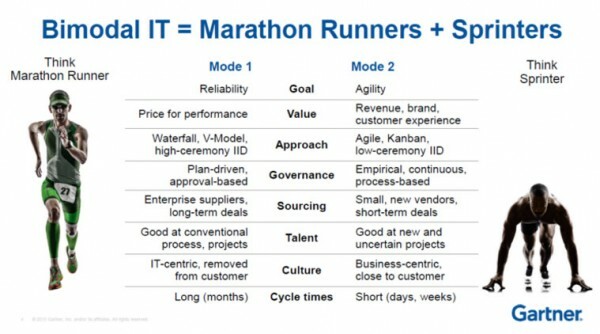 The second is agile, fast and willing to fail fast. Personally I struggle with the concept. After all if something built by the second agile team becomes successful it will need to move to the first team as the risk profile changes. For example, before its success, Facebook could be run from a Harvard dorm room. Now it needs massive infrastructure, change controls and a degree of oversight. 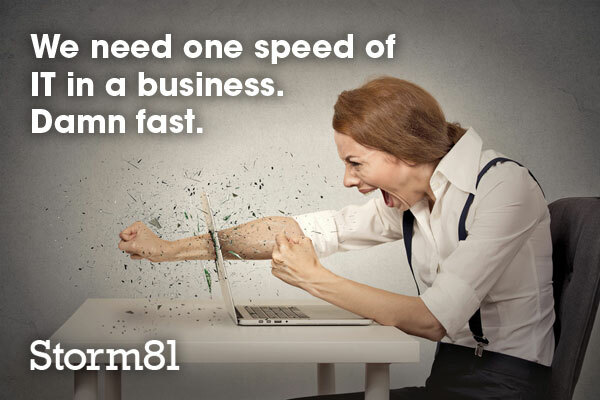 My view is that we need one speed of IT in a business. Damn fast. It should be lean, agile, responsive, operationally slick and resourced appropriately. This will require CIOs/CTOs to invest in building the right kind of team, giving them the right tools and then stripping out inefficient processes, hierarchy and documentation. I’ve used, seen, or at least played with the majority of the big Email Service Providers (ESPs) and Multichannel Campaign Management (MCCM) tools over the last few years and none of them are, IMO, easy to use. To be fair this isn’t purely the fault of the tools themselves, its the end-to-end process of doing data selections, creating HTML, testing HTML, approving copy and offers, building work flows and then accurately reporting an uplift. For marketing technology to improve, the whole end-to-end supply chain of building campaigns needs to be considered. If anyone is in a position to do this its Adobe as they begin to integrate their creative cloud with the products in the marketing cloud. Why can’t I have one machine that I throw data in batches or real-time and it just connects it all? I don’t need to worry about matching rules or deduplication or specifying field types. I just literally connect feeds, APIs and lob files at it and the machine just deals with it. Really quickly too. The output is then a relational database, with clean, matched, and aggregated data in that I can connect to my MCCM or BI tools. Perhaps I’m being naive, but with everything I’m reading on Big Data, No-SQL, cloud computing and machine learning this really ought to be possible. My final point about resolving the marketing headaches relates to budgets. Rather than viewing marketing returns on a short-time frame (such as a one year ROI), a better consideration is to split budget into short and long-term investments. The latter investments may also need to viewed using new measurements around customer satisfaction, reduction in service complaints and customer-lifetime value. Ultimately, businesses need to be weaned off short-term media campaigns into building long-term customer relationships. This is how I see the world of marketing and technology in light of the challenges raised by Econsultancy. Hopefully you have opinions on the matter too and I’d be pleased to hear from you. Either drop me a line or comment below.